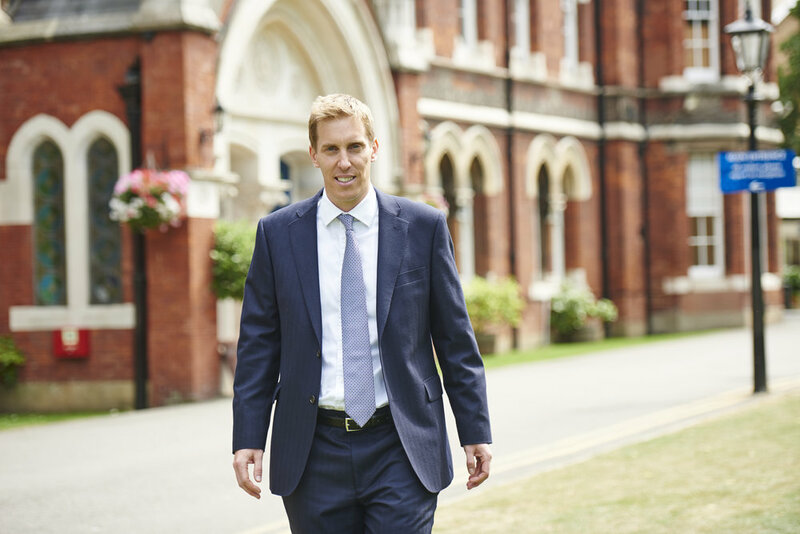 A former pastoral Deputy Head at KCS Wimbledon, and now Headmaster at Emanuel School, London, Rob Milne has a clear focus on nurturing emotional health amongst his school, modelling the ethos of empathy within his own role and actions. Actively present in the corridors and classrooms, Rob has spent time engaging in one-to-one meetings with staff members, having conversations with students and engaging with what is happening around the school in a bid to model the importance of engagement and connection to the health and well-being of the school. He sees the form tutor (and pastoral leaders) within a school as key to nurturing and supporting the growth of emotional intelligence amongst students, and is keen to see more schools bridging the connection between subject teachers and form teachers, with colleagues working together and focusing on the human and emotional issues that each student is struggling with, as well as just the academic. Writing in the Huffington Post (Rob contributed several blog posts whilst working at KCS) he reflected on the value of advice given to students to “go out into the world, physically interact with others, be compassionate and therefore to define themselves by their sustained decent treatment of fellow human beings”. Contributing articles on Know (ing) Who You Are, Helping Your Child With Teenage Life and Role Models amongst other musings, Rob is clearly committed to supporting the mental and emotional health of his students, and sees the stigma associated with counselling and therapy as one of the issues preventing more children from getting the support that they need. Whilst discussing best practice to develop empathy and connection at Emanuel, and to work to prevent emotional health problems, Rob was explaining the need to embed a strong ethos of emotional support in the school by having the teachers and staff actively modelling empathic engagement with their students, showing that they are seeing the humans behind the behaviour tropes. Giving children somewhere to go to talk about some of the issues happening around them is also vital (an approach we explore in the ThoughtBox CPD on Healthy Classrooms) and Rob understands the value of connecting the teachers (both pastoral and academic), the parents and the children together in healthy discussions to fully support each child’s emotional development. In his article Helping Your Child With Teenage Life, Rob states: “If schools and families can work together, there remains tremendous hope and reason to be cheerful. It is reassuring to know that in this ever-changing world, the key to growing emotionally resilient young people lies in the timeless traits of developing human character: the strength of an individual to cope with adversity and to keep on going,” theories and practices that he very much plans to embed into the nurturing ethos at Emanuel School.